The Bridewell Data Privacy Consultancy Service offers organisations the chance to engage trained experienced data privacy consultants who can provide advice and guidance to organisations helping them to better understand the nature of the data they handle, and also help organisations to navigate the legal and regulatory complexities of data protection regulation. We can augment existing teams or provide entire teams to deliver on challenging projects such as preparing for GDPR. We amend existing processes or create new ones to help organisations realise their Business and IT Strategy while ensuring legal and regulatory compliance is maintained. The service offers organisations the chance to access trained data privacy professionals thus avoiding the need to hire a dedicated data privacy professional. An independent view and perspective on how as an organisation you should address your data privacy challenges. Based on our years of experience we will have seen similar challenges to that your organisation is facing in similar sectors of industry. We can provide a Data Protection Officer as a service to address the new requirements of GDPR (see GDPR Readiness service) where it is not cost effective for an organisation to hire a dedicated resource. Bridewell provide industry experienced data privacy professionals who can address all the challenges a global interconnected market place presents. Data Privacy is today considered an essential part of supporting the digital economy and is increasingly receiving high levels of media attention, primarily or the wrong reasons. The UK Data Protection Act, 1998 was implemented in accordance with the European Directive 95/45/EC and provides a legal framework in which personal data are to be processed. On the horizon are the largest set of changes to the way privacy is managed in Europe since the introduction of the Directive 94/45/EC. The existing legal framework does not consider fully technological developments such as social networks and cloud computing. 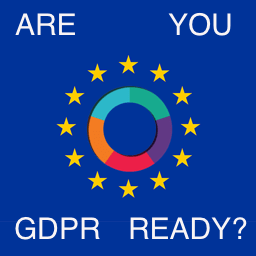 The European Commission’s intention is to unify data protection by creating the General Data Protection Regulation, which will replace EU Data Protection Directive 95/46/EC. Data Privacy requires the correct level of expertise and experience and it is widely communicate as one of the key challenges organisations face under the up and coming regime. Bridewell have been working in data privacy for over 20 years and have experienced data privacy consultants, industry proven methodologies and have supported several organisations in various sectors of industry in complying with applicable privacy requirements. We have individuals with leading privacy experience and certifications such as the Chartered Information Privacy Professional / Europe (CIPP/E), Chartered Information Privacy Technologist (CIPT) and Data Protection Practitioner (PC.dp). We pride ourselves on acting as a trusted advisor for our clients and being able to interpret privacy legislation and ensure it is practically implemented into our client’s business operations. The integration of Data Privacy into project methods, lifecycles, IT and Business Strategy.